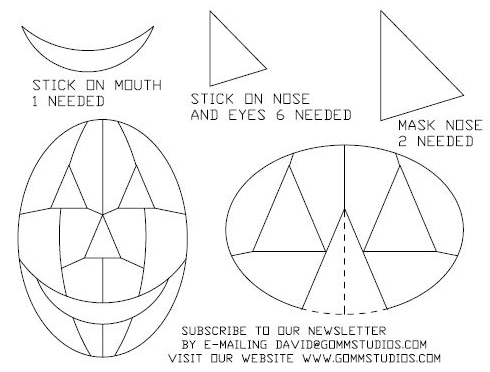 Patterns can be found all over the internet, here are some we use in our studio. 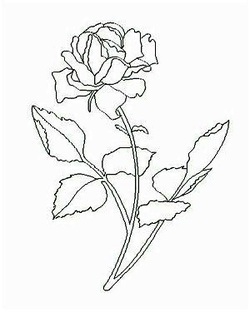 This is the Rose Pattern that goes with the article on Sandcarving a Rose. Click here to download the pdf. First- grind the glass smooth so it won't cut you Second - wrap wire around the bottom of the glass so it won't slip. I wrap it around a couple of times, then put one loop under the glass and then wind it around a couple of extra turns to secure things. 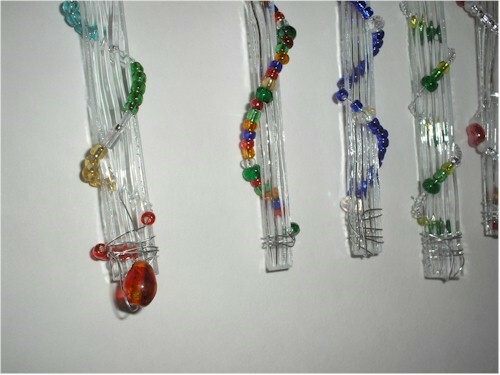 Next - start threading on the beads in any pattern that pleases you and wrap the wire up and around the glass piece. When you get to the top, wind off the wire and make a loop to hang it from. 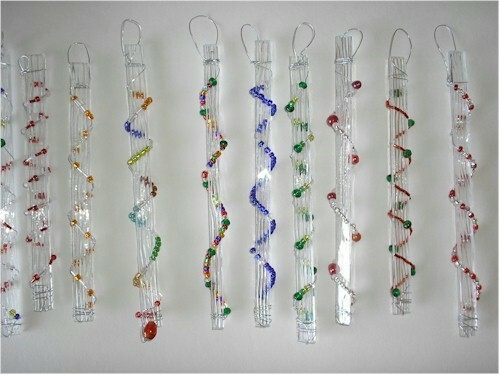 Hang them and enjoy the results! Merry Christmas!!! ​Click Here To Get The Full 2 page PDF of Mr Potatohead Pumpkin. Stained Glass Mandalas For Success has 20 original patterns in it which you can download if you have a copy of the book. Here is a link to the Prosperity Mandala. It's five pages that need to be printed and taped together. We sell it for $5 on Etsy.